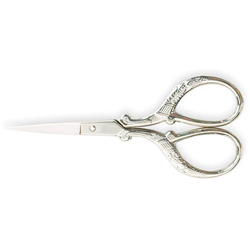 Shears with smooth cutting action. Hardened stainless steel blades. Plastic handle has large finger loops for comfort. Stainless steel. Can be resharpened and will never rust. Fits all slicers. 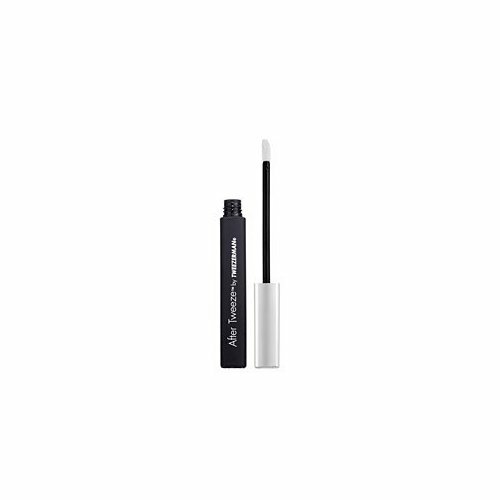 Styling gel shapes brows and keeps them in place. 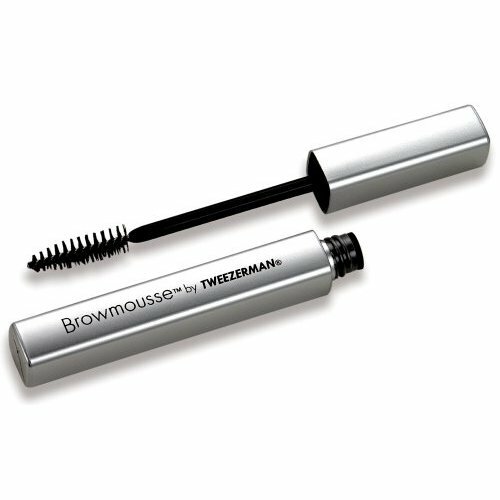 Used by models and make-up artists, brow mousse is a clear, non-sticky gel that conditions brows and holds them in place for hours. Its superior hypo-allergenic formula will not flake or look gummy when dry. Fragrance free. 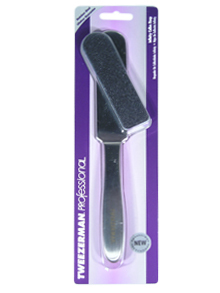 Tweezerman 5102-P Infinity callus rasp. 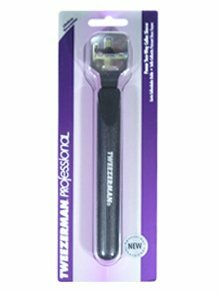 This innovative stainless steel tool for reducing calluses and smoothing skin provides the ultimate in quality and sanitation. 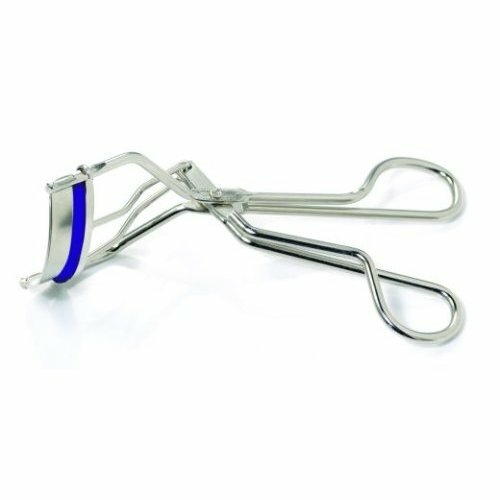 Its handle is designed for utmost comfort and control, while the thin filing area makes it flexible for use on different areas of the feet and between toes. 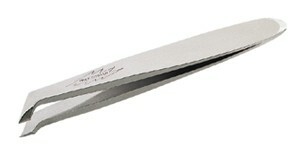 Features filing pads with two different grits that can be easily replaced to create a new, two-sided rasp for each use. 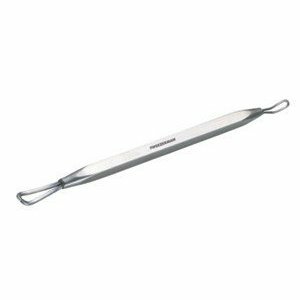 Stainless steel handle can be sterilized after removal of filing pads. Comes with two 80 grit and two 120 grit replacement pads. Callus Shaver with strong, sturdy handle for added comfort and power grip. Finely textured, nickel plated rasp snaps onto shaver to smooth skin. To attach rasp: place black slot over top of shaver and snap silver clip into open slot at base of blade holder. 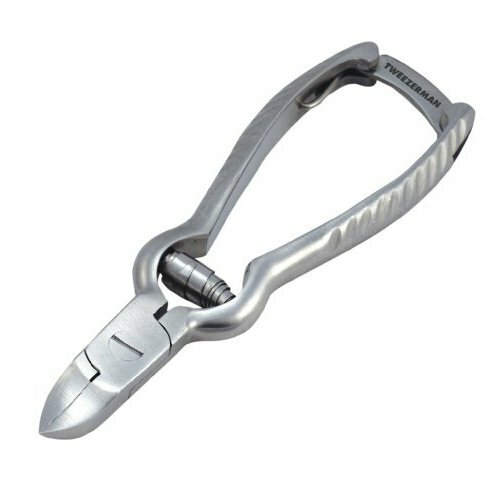 To release rasp: firmly press silver clip down.Caution: Handle with extreme care. Use light shaving motion. Do not shave live skin. Do not use this tool on diabetics or hemophiliacs. To ensure safety when removing item, open packaging from the bottom. Blades are very sharp. 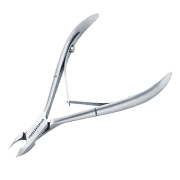 Simple readjustment of blade holder allows callus plane to be applied with either downward or sideways motion. Use on moist skin. With light pressure, gently draw shaver across callus in a shaving motion to remove thin layers of dead skin. Caution: Blade is sharp handle with extreme care. Do not shave live skin or use on diabetics or hemophiliacs. Open packaging from bottom. 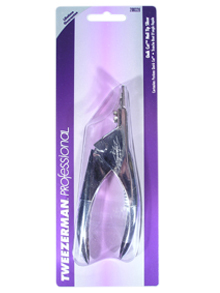 Tweezerman’s Cobalt Stainless Cuticle Nipper 1/2 Jaw is an award-winning nipper that has ultra-sharp finished tips and smooth double spring action that delivers precision and performance in an ergonomic design. The nipper fits right into the hand and helps reduce strain that can cause carpal tunnel. Made of high quality Rockhard Stainless Steel. Rockhard steel stays sharper longer. The blades meet and cut at the very tip. They close front to back with slight pressure to ensure a complete cut. The double spring is designed to operate smoothly and is guaranteed not to break. 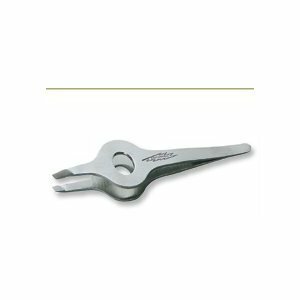 Sharp stainless steel lancet for piercing whiteheads and ring for pressing out blackheads. Tips are removable and screw into tool for protection when not in use. Isolate even the finest hair for precise, easy tweezing. 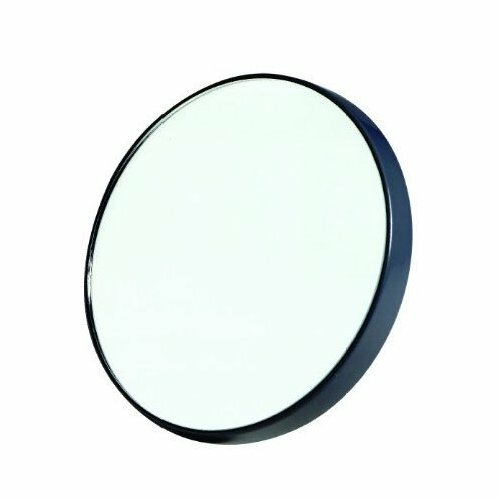 Our optically correct 12X magnifying mirror is clear from edge-to-edge with no distortion. Portable and practical, it conveniently attaches to any smooth surface. Perfect for home or travel. 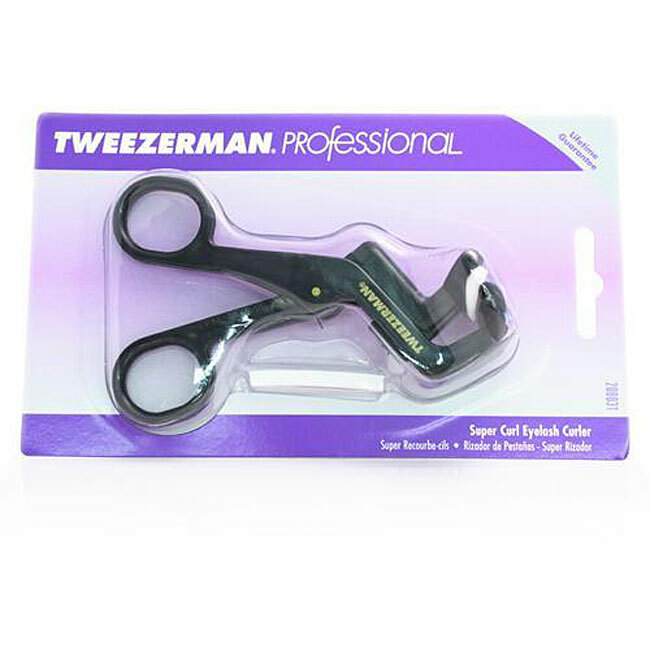 Great for any precision tasks, from tweezing to make-up application to contact lens insertion. 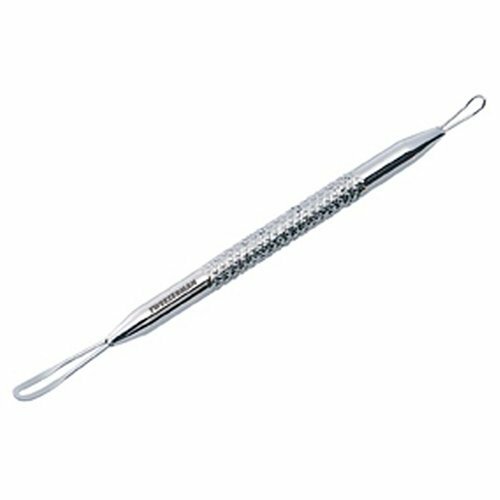 Stainless steel nail cleaner and ingrown toenail in one. 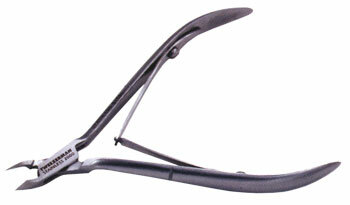 File ends helps, relieve pressure of ingrown nails and thin curved end cleans under and around nail. For ingrown nails, after soaking feet, slide file under nail. File works in reverse and thins the nail as pull out. Sterilize after use. 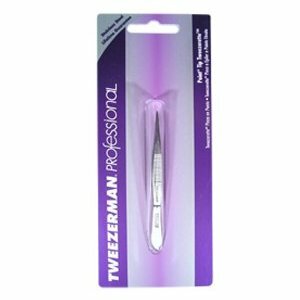 This Tweezerman Master Tech tool features both small and medium contoured pushing ends which conform to the individual size and shape of each nail. 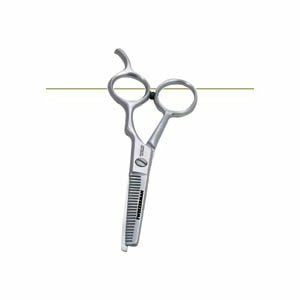 This innovative design allows the technician to push back cuticles without scratching the nail or injuring the delicate cuticle area. The powerfu, genlty curved ends are buffed smooth and are ideal for both manicures and pedicures. Sharp straight pointed blades for clean precise cutting of linen silk wrap or fiberglass. Can also be used for trimming brows and cutting facial hair. Nickel-plated. 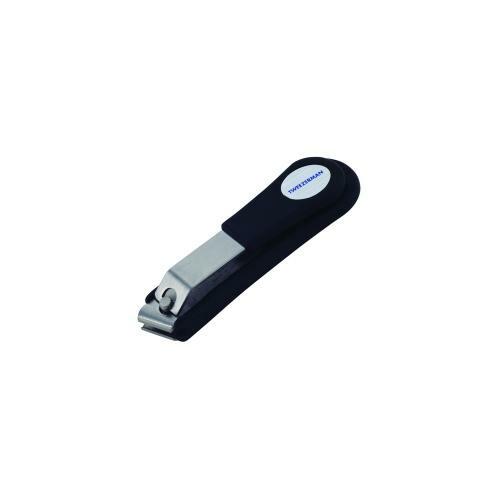 Sharp, straight blades for precise trimming of moustache, beard and brow hairs. Large finger loops provide added control. Includes grooming comb. Stainless steel. 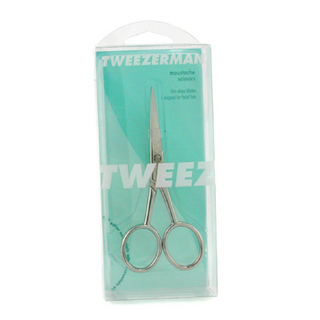 Tweezerman- Stainless Steel Cuticle Scissors Use for precision trimming of cuticles and hangnails. 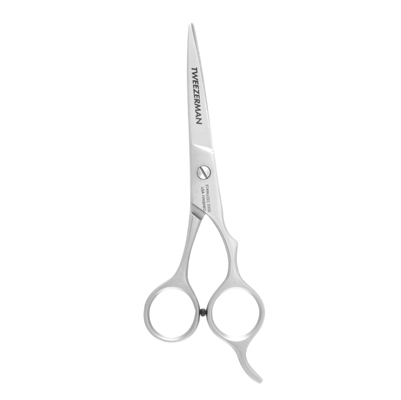 Our classic cuticle scissors newly imagined in stainless steel with elegantly crafted, ergonomic handles. Maintenance free. 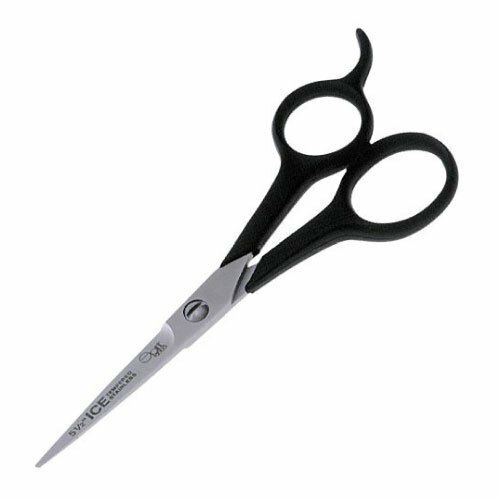 Tips Tricks: First push back the cuticle, then use scissors to trim dead skin. When trimming cuticles or cutting hangnails use caution. Points are very sharp. If the scissors ever stick, put a drop of oil in the joint and work back and forth to loosen. Taking proper, regular care of nails and the skin around them is important- infections can start if the skin is tattered or broken. 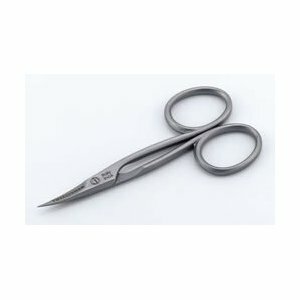 Tweeerman's Stainless Steel Nail Scissors feature an elegant design with sharp, heavy-duty curved blades for trimming finger and toenails. Cutting blades stay sharp. Can also be used to trim hangnails. 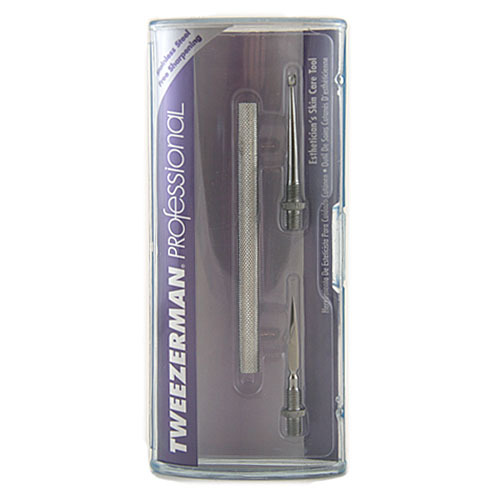 Tweezerman No-Slip Skin Care Tool will press out blackheads, and roll out your whiteheads! 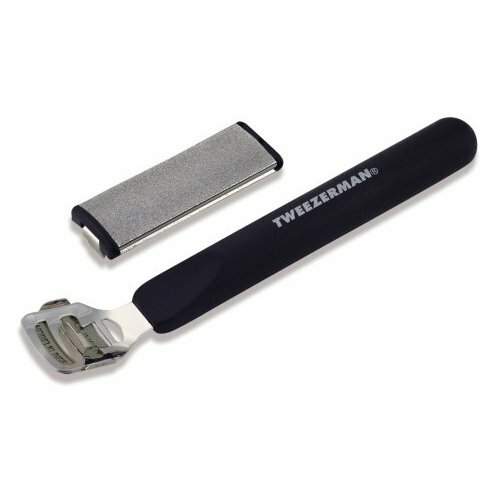 Cut even your toughest toenails with ease using the Tweezerman Deluxe Stainless Steel Toenail Clipper. 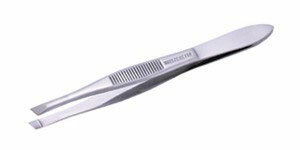 Our original, surgical quality, stainless steel tweezer is recognized worldwide as a classic design innovation. The amazingly precise, tapered points are hand-filed to meticulous sharpness to remove anything embedded under the skin (ingrown hairs, thorns, glass or splinters of any kind) with near surgical accuracy. In classic stainless steel. 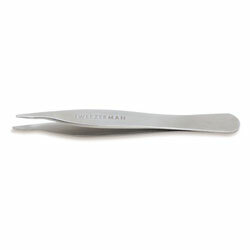 The petite version of Tweezerman famous Slant and Point tweezers. The perfectly aligned hand-finished tips grab the hair every time. Perfect for purse or travel. Makes the cutest gift. Always tweeze in the direction of hair growth. 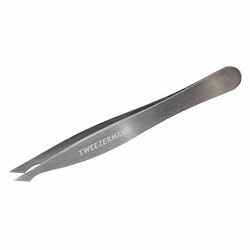 Tweeze after a hot shower or use a hot towel to open pores. Isolate the hair you are about to tweeze, pulling one hair at a time. Pull gently and smoothly, making sure not to yank. Wait at least five minutes before applying make-up. 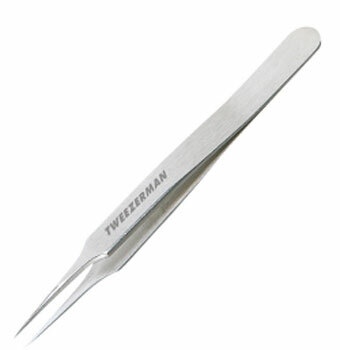 Use the Slant Tweezer for eyebrows and the Point Tweezer for fine hairs. Care: Clean tweezers after each use. Caution: Do not drop tweezers. This can damage the tip and throw tweezers out of alignment. Note: Spring tension can be increased by gently pulling the two halves of the tweezer apart. Once you have increased the spring, you cannot decrease it. Do not drop tweezers. This can damage the tip and throw tweezers out of alignment. Perfect size for make-up bag and travel with stainless steel, hand finished point tips. 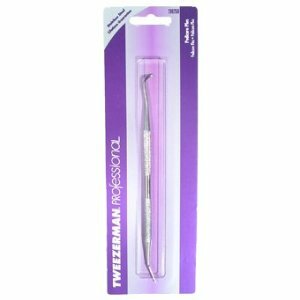 Convenient to use compact tweezers with hand-filed tips and no-slip grip. Stainless steel. Tips of Tweezerette are hand-filed for precise tweezing. Compact size for purse or travel. Easy-grip textured body. 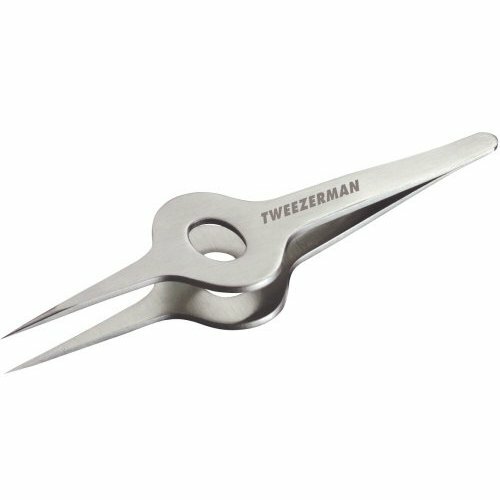 Tweezerman Pointed Slant Tweezers combine two useful tweezing styles in one tool: The fine, precision tip combined with a slanted design makes eliminating even the most stubborn stray hairs a cinch. Uniquely designed for the Brow Artist. 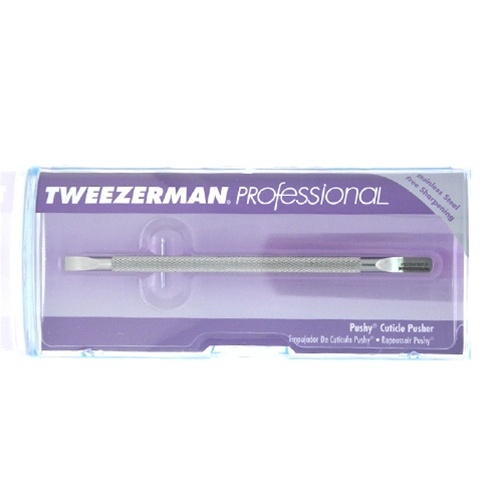 The innovative design and smooth edges allow the brow artist to tweeze rapidly without the risk of scratching the skin. The uniquely shaped, hand-finished precision tips also provide the accuracy needed to isolate each hair for creating the perfect arch. Polished Stainless Steel. Patent pending. Famous for its precision, our Point tweezer has perfectly aligned hand finished points that grab the smallest and finest hairs with ease. This version features a wide body for added comfort and control. Stainless Steel. 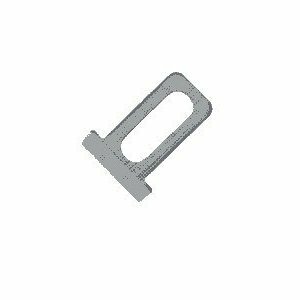 Wide Grip Slant Tweezer 0.1 This item is DISCONTINUED by the manufacturer.